Growing up in the digital age has taught your customers to expect highly relevant content when they search for it. Anything short of this negatively affects conversions, consideration, and commerce. Settling for a basic, generic search solution on your external- or internal-facing web sites and services directly affects your company’s ability to engage with your customers or upskill your employees. 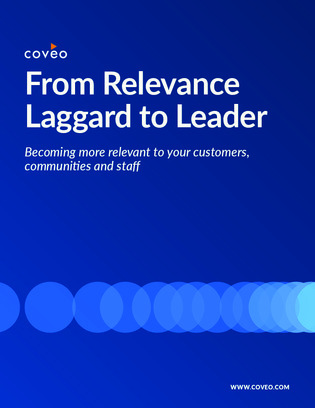 Download this white paper from Coveo to learn how your organization can improve their search function and ensure they’re giving their users the information they’re looking for the first time around.